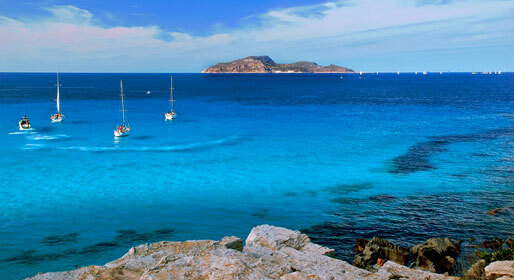 The name "Pelagie" islands derives from the Greek, meaning islands in high seas. The islands are situated closer to Africa than to Italy, between Tunisia and Malta. The Pelagie islands are Lampedusa, Linosa and the uninhabited Lampione, (where the only building is its lighthouse). 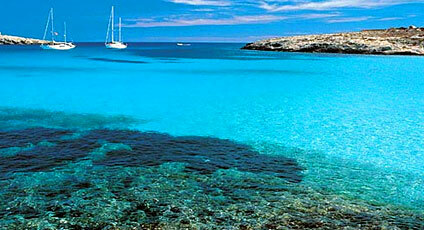 Lampedusa is the principal island, a fishing center with an impressive fleet of fishing boats. Linosa, the economy of which is based entirely on the tourist industry, has a tiny village made up of pastel colored dwellings. The islands share the same marvelous clean sea, perfect for diving enthusiasts. In these waters there are great expanses of spectacular sea bed and poseidon fish, parrot fish and lobsters can be found. The Caretta caretta turtles come to deposit their eggs here, in particular on the sandy beaches of Baia dei Conigli of Lampedusa. A visit to the Bay of Tabaccara and the Bay of the Madonnina, which can only be reached by boat, should not be missed.